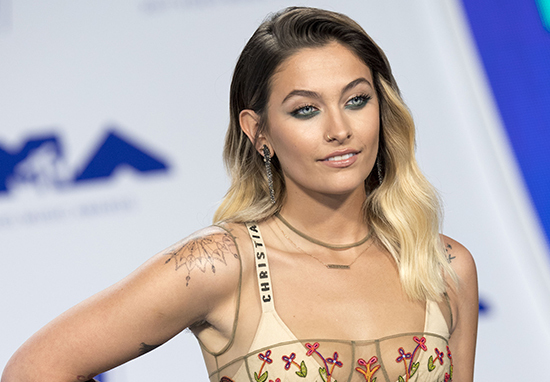 Paris Jackson is calling people out for editing the colour of her skin on photos, often lightening it. The 19-year-old actress, activist and model, who’s the second child and only daughter of the late Michael Jackson, has been in the spotlight since she was born. During her childhood, Paris’ father would regularly encourage her and her brothers to wear masks when they made public appearances but now, she’s happy to embrace the life of stardom. Taking to Twitter, Paris also stated she’s ‘finally happy’ with her appearance and asked people to stop editing her skin colour in pictures of her. I am what I am. I’m aware of what I look like and I finally happy with it [sic]. It only takes one quick search through Twitter to find an example of what she’s talking about. We all love you for who you are. I think sometimes it’s not intentionally done, sometimes after a lot of editing it may or may not affect the skin tone. But sorry about it. Again we love you for being you and nothing about that will change. Paris’ tweet, which has so fair received over 10,000 likes, at the time of writing, has been flocked with comments from fans showing their support to the star. You’re beautiful the way you were made! It’s so sad we live in a society where people have to edit things to satisfy their description of what is acceptable to fit into society or what they think society wants to see. Never change, stand strong! You’re beautiful! Your beautiful the way you were made! Its so sad we live in a society where people have to edit things to satisfy their description of what is acceptable to fit into society or what they think society wants to see. Never change, stand strong! Your Beautiful! Good for you Paris, it’s not what a person looks like outside, it’s inside that counts and if your happy with yourself, then I’m behind you 100 per cent. I’m so sorry Paris. I’ve never understood why someone would want to change some else’s skin colour. It’s really upsetting that you even have to point this out. The model is set to make her big screen acting debut in this year’s upcoming film Gringo. In the action-comedy crime caper, Jackson plays a young woman called Nelly, who’s trying to help smuggle drugs back into the United States from Mexico. Gringo will be released in UK and US cinemas March 9.